I recently removed the front bumper cover and headlamp assemblies on my 2010 Toyota Corolla in order to replace the turn signal and side marker bulbs. This post will cover all three jobs. Parts: 2 side marker bulbs, BP194; 2 turn signal/parking light bulbs, BP3157NA ; high beam headlamp is 9005; low beam headlamp is 9006. The side marker and turn signal bulbs are inaccessible until the headlamp assemblies are removed. The bumper cover conceals the headlamp assembly mounting bolts. We will start at the bottom as we remove the 16 various fasteners needed to remove the bumper cover. There are six fasteners on the bottom, two on each wheel well and six on top. 1) Drive the car up onto ramps. This could be done on the ground, but with such low clearance, why? 2) Remove two 10mm screws under the passenger side corner. These merely attach to the wheel well cover. 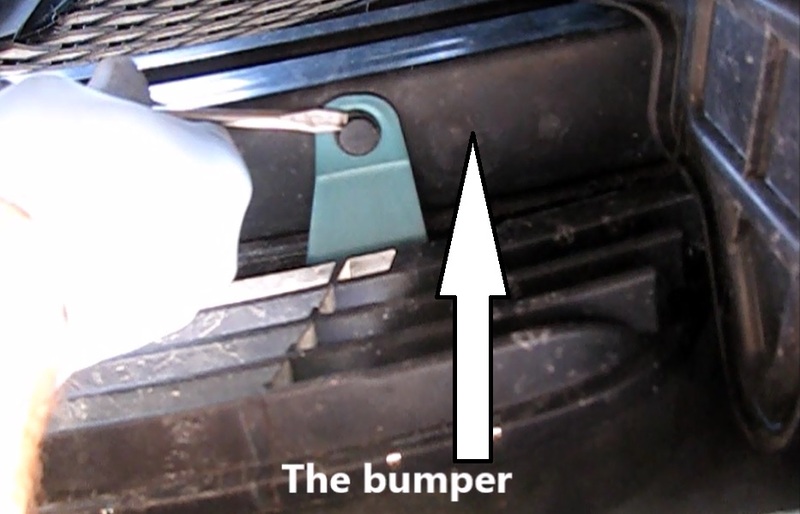 3) Remove two panel fasteners on the underside of the bumper. These are two piece. Pry out the center part and then remove the rest of the fastener. 4) Remove the two 10mm screws under the drivers side corner. 5) On each wheel well remove two fasteners. The lower one is an odd duck. It rotates ninety degrees and then pulls out, revealing its weird forked shape. 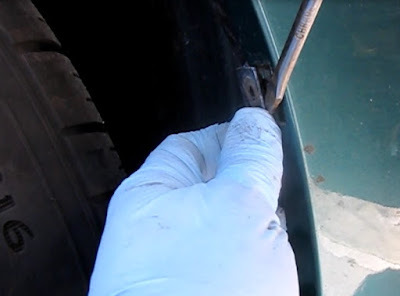 Using a screwdriver, pry the bumper cover free of the wheel well cover. The upper is a tiny plastic screw that turns out, allowing the outer body of the fastener to come out. 6) Unsnap the bumper cover from the fender on each side. A small jerk is all it takes to separate the two pieces. 7) Remove the six top fasteners. From the passenger side left, first comes a panel fastener, then a philips head screw with a rubber hood cushion built in and then a 10mm screw. 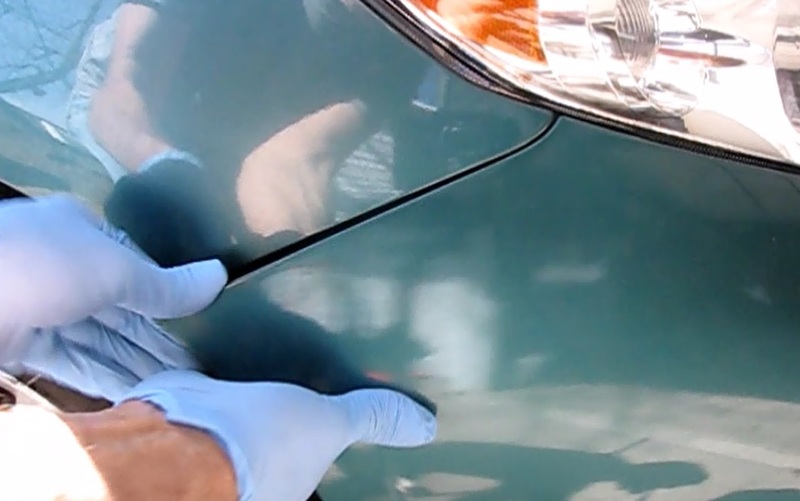 Then remove the same three types on the driver's side. 8) Lift up and pull off the bumper cover. 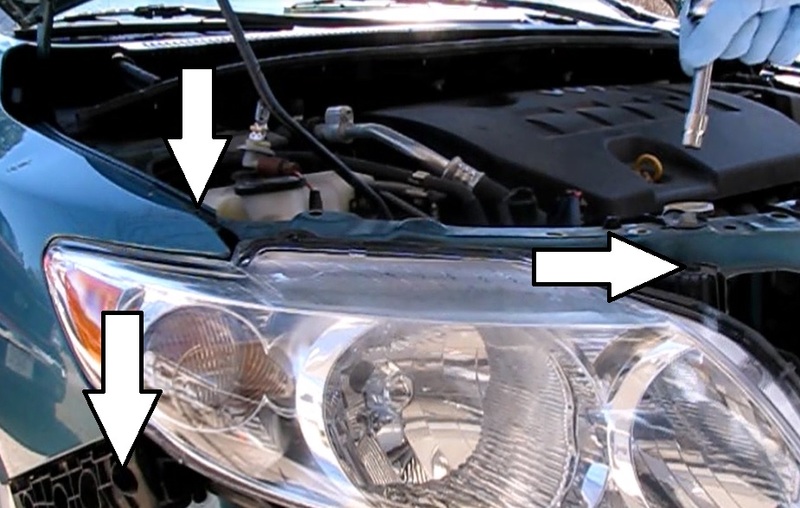 The head lamp assemblies are now accessible for replacement of the turn signal/parking lamp and side marker. The high and low beam headlamps are removable without taking off the bumper cover, but if replacing all bulbs anyway, this would be a great time. 1) Remove three 10mm bolts, one top, one right and one on the side. 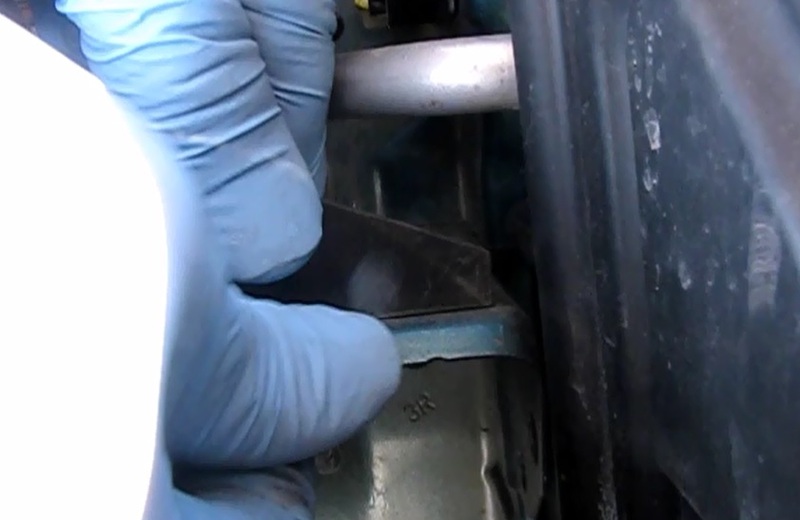 2) Pull up on the plastic molding around the top screw and lift it up and over a protrusion. 3) On the front, lift up on the corner to free a locking tab that is snapped into a square cutout. 4) Unplug all the lighting harnesses. They all turn about 30 degrees counterclockwise and then can be separated. 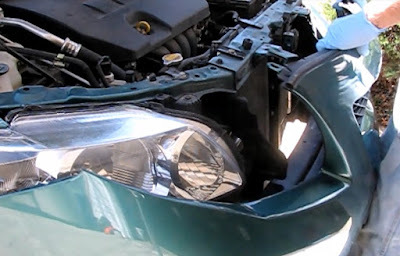 5) Remove the head lamp assembly. 1) The side marker is BP194. Simply wiggle the old one out and insert a new bulb. Line up the slots and turn clockwise into the slot until it locks. 2) The turn signal/parking lamp is BP3157NA. Wiggle out the old one and insert the new bulb. Line up the slots and turn clockwise into the slot until it locks. 3) The low beam headlamp is a 9006. 4) The high beam headlamp is a 9005. 1) Take care to seat the front corner of the assembly into the slot in the car. 2) Snap the upper mounting hole over the protrusion. 3) Replace the three screws. The upper one is threaded for plastic while the other two are machine screws for metal. 5) Testing the lamps at this point would be a good idea. 1) Place the cover up and over the mounting boss on the top of the car. It will then rest there. 2) Snap the cover back into the fender. 3) Mount the six fasteners back on top. 4) Mount the upper and lower wheel well panel fasteners on each side. 5) Mount the six fasteners back on the bottom in any order desired. This is really informative! Whenever we are facing some kind of damages in our cars, especially the front bumper what steps should we take to repair it? Most of the new drivers are facing front bumper damage problems as due to fatal crash or minor accidents. In these cases, we need to take the help of mechanics to deal with these issues, here also this article provides some important instructions on how to deal with bumper problems. Thanks for such wonderful information.